Mar 11, 2017: [Build Ready] 5.1 Theater Setup for Under $1,000 -- How's it look? Aug 08, 2017: Need some last minute advice before making my purchase! Nov 23, 2017: Buy local if you can. 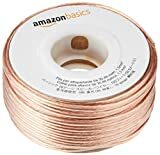 Nov 25, 2017: What kind if wires do I need for home theater? Dec 19, 2017: Fixing to run audio wires in house to hang up speakers. Currently using old Sony HBD-E370. Few questions before I start. Feb 20, 2018: Is this all I need to start out? Mar 08, 2018: Getting Started, Advice? May 04, 2018: Active or passive speakers for a turntable setup? Aug 22, 2018: Wondering if I'm choosing the right cable... Please help. Mar 19, 2019: In Blade Runner 2049 (2017), replicants can be identified by having them look up and to the left. The opening text of the film is positioned where the audience must look up and to the left, and the first word they look at is “Replicants”.